Recommended books, dvds and music to provide you with knowledge, entertainment and inspiration. You can see more at the Bookstore or shop at Amazon.com and help support Smarter Creativity. The hardest choices are also the most consequential. So why do we know so little about how to get them right? Big, life-altering decisions matter so much more than the decisions we make every day, and they're also the most difficult: where to live, whom to marry, what to believe, whether to start a company, how to end a war. There's no one-size-fits-all approach for addressing these kinds of conundrums. Steven Johnson's classic Where Good Ideas Come From inspired creative people all over the world with new ways of thinking about innovation. In Farsighted, he uncovers powerful tools for honing the important skill of complex decision-making. While you can't model a once-in-a-lifetime choice, you can model the deliberative tactics of expert decision-makers. These experts aren't just the master strategists running major companies or negotiating high-level diplomacy. They're the novelists who draw out the complexity of their characters' inner lives, the city officials who secure long-term water supplies, and the scientists who reckon with future challenges most of us haven't even imagined. The smartest decision-makers don't go with their guts. Their success relies on having a future-oriented approach and the ability to consider all their options in a creative, productive way. 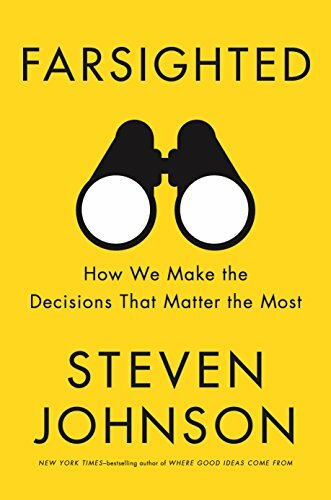 Through compelling stories that reveal surprising insights, Johnson explains how we can most effectively approach the choices that can chart the course of a life, an organization, or a civilization. Farsighted will help you imagine your possible futures and appreciate the subtle intelligence of the choices that shaped our broader social history. Our brains are far stranger than we think. We take it for granted that we can remember, feel emotion, navigate, empathise and understand the world around us, but how would our lives change if these abilities were dramatically enhanced – or disappeared overnight? 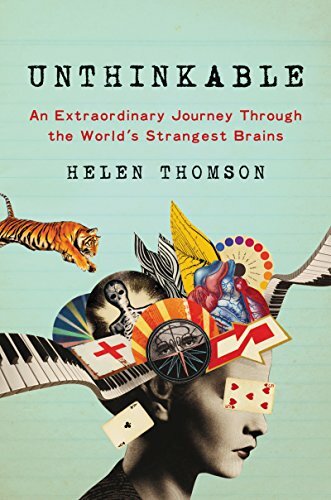 Helen Thomson has spent years travelling the world, tracking down incredibly rare brain disorders. In Unthinkable she tells the stories of nine extraordinary people she encountered along the way. From the man who thinks he's a tiger to the doctor who feels the pain of others just by looking at them to a woman who hears music that’s not there, their experiences illustrate how the brain can shape our lives in unexpected and, in some cases, brilliant and alarming ways. Advertising and marketing touches on every corner of our lives, and is the invisible fuel powering almost all media. Complain about it though we might, without it the world would be a darker place. And of all the industries wracked by change in the digital age, few have been turned on its head as dramatically as this one has. We are a long way from the days of Don Draper; as Mad Men is turned into Math Men (and women--though too few), as an instinctual art is transformed into a science, the old lions and their kingdoms are feeling real fear, however bravely they might roar. 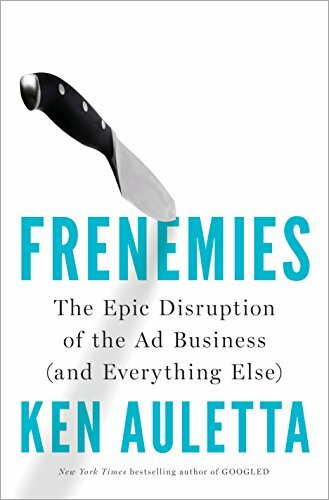 Frenemies is Ken Auletta's reckoning with an industry under existential assault. He enters the rooms of the ad world's most important players, some of them business partners, some adversaries, many "frenemies," a term whose ubiquitous use in this industry reveals the level of anxiety, as former allies become competitors, and accusations of kickbacks and corruption swirl. We meet the old guard, including Sir Martin Sorrell, the legendary head of WPP, the world's largest ad agency holding company; while others play nice with Facebook and Google, he rants, some say Lear-like, out on the heath. There is Irwin Gotlieb, maestro of the media agency GroupM, the most powerful media agency, but like all media agencies it is staring into the headlights as ad buying is more and more done by machine in the age of Oracle and IBM. We see the world from the vantage of its new powers, like Carolyn Everson, Facebook's head of Sales, and other brash and scrappy creatives who are driving change, as millennials and others who disdain ads as an interruption employ technology to zap them. We also peer into the future, looking at what is replacing traditional advertising. And throughout we follow the industry's peerless matchmaker, Michael Kassan, whose company, MediaLink, connects all these players together, serving as the industry's foremost power broker, a position which feasts on times of fear and change. Frenemies is essential reading, not simply because of what it says about this world, but because of the potential consequences: the survival of media as we know it depends on the money generated by advertising and marketing--revenue that is in peril in the face of technological changes and the fraying trust between the industry's key players. "This is a radically important, timely work," says Miranda July, filmmaker and author of The First Bad Man. The history of technology you probably know is one of men and machines, garages and riches, alpha nerds and brogrammers--but from Ada Lovelace, who wrote the first computer program in the Victorian Age, to the cyberpunk Web designers of the 1990s, female visionaries have always been at the vanguard of technology and innovation. In fact, women turn up at the very beginning of every important wave in technology. They may have been hidden in plain sight, their inventions and contributions touching our lives in ways we don't even realize, but they have always been part of the story. 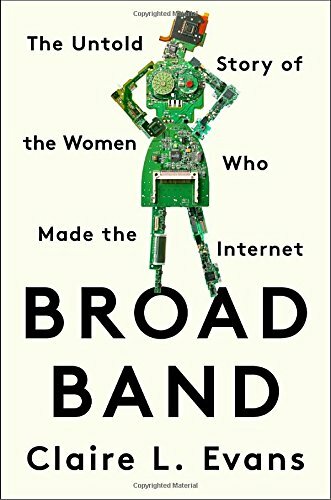 VICE reporter and YACHT lead singer Claire L. Evans finally gives these unsung female heroes their due with her insightful social history of the Broad Band, the women who made the internet what it is today. Seek inspiration from Grace Hopper, the tenacious mathematician who democratized computing by leading the charge for machine-independent programming languages after World War II. Meet Elizabeth "Jake" Feinler, the one-woman Google who kept the earliest version of the Internet online, and Stacy Horn, who ran one of the first-ever social networks on a shoestring out of her New York City apartment in the 1980s. Join the ranks of the pioneers who defied social convention to become database poets, information-wranglers, hypertext dreamers, and glass ceiling-shattering dot com-era entrepreneurs. This inspiring call to action shines a light on the bright minds whom history forgot, and shows us how they will continue to shape our world in ways we can no longer ignore.